Sew Supportive: Just Keep Sewing! This lecture gives quilters and sewists ideas and product suggestions that help them continue sewing when they face the inevitable health challenges we all go through as we get older. What can you do to not only get kids interested in sewing, but also KEEP them sewing? Tracy shares some of her kid-tested techniques that get kids started young, develop a love of fabric and develop their skills as their interests and bodies grow! Email her today for her schedule and fees. Tracy is a freelance copywriter with 7+ years experience in content creation, ghost writing, social media content writing and blog work. 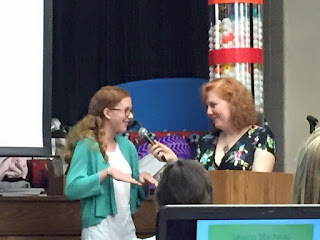 Since 2012, she can be found in the pages of Generation Q Magazine as an senior editor, writing book reviews, discussing informational sewing topics and designing projects for kids to sew. 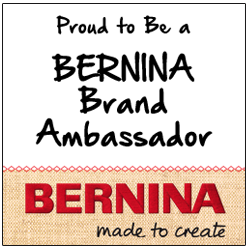 She also is a proud BERNINA Ambassador. Tracy is not currently accepting new writing clients.